Boston Medical Center, Menino Building, April 18th, 2019. 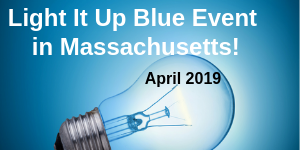 The Boston Medical Center’s Autism Program’s annual Autism Awareness Day and Resource Fair will feature local Autism family support organizations and resources. * Hear “The State of the Diagnosis” with Dr. Marilyn Augustyn from 4 – 5 p.m. Dr. Augustyn is Director of Pediatrics – Child Development, Developmental & Behavioral Pediatrics, Pediatrics, Boston University School of Medicine, Active Staff Privileges, Pediatrics, Boston Medical Center.